As an alternative to group health insurance, small businesses are transitioning their employees to individual health insurance. Here are three ways reimbursing employees’ individual insurance premiums disrupts the small business health insurance industry. Individual health insurance is a policy that is purchased by an individual and their family based upon their personal needs and budget, just like car insurance. Businesses can reimburse employees for their individual health insurance premiums by implementing a premium reimbursement program. To set this up, the business first needs to decide how much they will contribute toward employees’ health insurance expenses. This allowance, or “defined contribution,” can be the same for all employees, or it can differ depending upon employee class and/or family status. 1. Happier employees: Employees choose the health plan that best fits their families’ needs.Individual health insurance offers more choice and control to employees by allowing them to choose a plan that fits their own needs, including coverage level and network. Employees can choose their own plans to work with their budget. These plans can be customized to individual circumstances and age. Defining their budget by setting any contribution amount to employees’ healthcare. Giving employees access to monthly healthcare allowances. Allowing employees to select their own individual health insurance policies. Reimbursing employees only for eligible health insurance premiums up to the amount in their healthcare allowance. 3. More time: With a credible premium reimbursement software provider, premium takes less than 5 minutes per month to administer online. 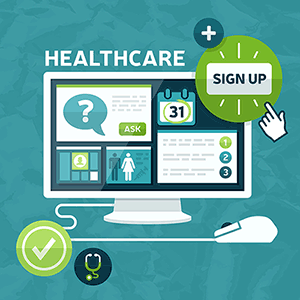 Some businesses consider self-administering a premium reimbursement plan without compliant software. However, remaining in compliance with federal regulations and health reform can be costly, time-consuming, and an administrative hassle. Step 1 - Cancel the small business's group health insurance plan (if one is offered). Step 2 - Implement a premium reimbursement plan, which gives employees monthly healthcare allowances to spend on health insurance. Step 3 - Work with an insurance broker to assist employees in purchasing individual health insurance from the health insurance Marketplaces, through a private exchange, or directly from a carrier. Step 4 - Reimburse employees tax-free during payroll, up to the amount in their healthcare allowance balance. In the federally-run Marketplace, 87 percent of those who selected a health plan are receiving premium tax credits, and are paying an average of $82/month. While the average premium costs $346/month, the premium tax credits bring the cost down significantly. With the Marketplace entering the second year of operation, more major health insurance carriers are entering the Marketplace or expanding their presence there. The increased options in the Marketplace mean more individual health plans to choose from and more competition. This increased competition among carriers will help to keep rates down in 2015. What do you think about how individual health insurance disrupts the industry? Leave a comment below.